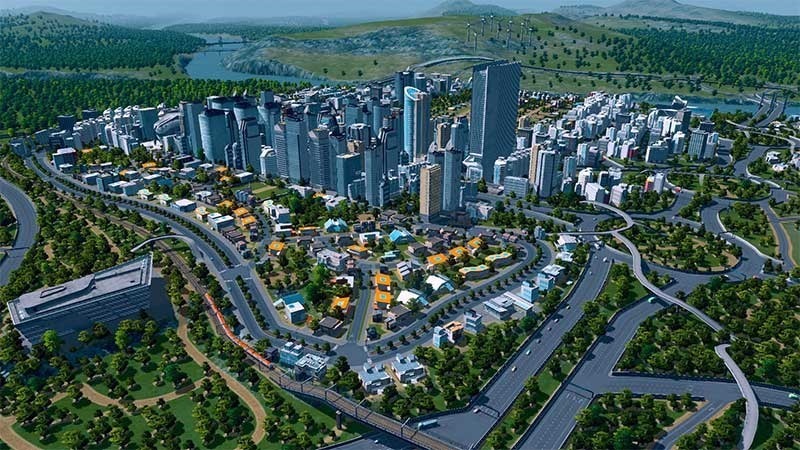 Cities: Skylines is the SimCity game that EA and Maxis’ Sim City should have actually been, had it not been hobbled with the need for persistent online connection and unnecessarily small cities. It’s been received rather well by critics and fans of city-building simulations alike. It’s doing rather well, too – becoming publisher Paradox’s fastest selling game by moving 250 000 copies in its first 24 hours. That may seem like small potatoes when compared to the sales that Sim City managed with its mighty 2 million sales – but consider that Cities: Skylines was made with far less budget, and without the marketing clout afforded to the big publishers. Unfortunately, it’s also subject to silly things like piracy, and apparently 16% of the copies being played were obtained illicitly. Paradox isn’t worried though. They have a plan to combat piracy that’s very much the same as the one they employed with Magicka: update the game so much that it actually becomes a headache to keep up with all the pirated patches. As usual our plan for pirates is to make a great game even better through free updates – making it more convenient to use Steam instead. It’s all about offering the consumer a better experience than they’d get through piracy – which is something many publishers don’t realise. It’s all about offering the superior service. That’s how we bring down piracy. By making the paid experience a superior one. He also says that one of the best ways to combat piracy is to offer modding through Steam Workshop. I really do think that offering ease of use and convenience is the biggest way to get people to stop pirating – much in the way that Netflix has made a great number of people stop illegally downloading series and films. The same goes for Steam itself, I suppose – particularly when there are sales involved. The right combination of price and convenience, and it becomes too much trouble to pirate.